US 50 to Stateline Rd, Hidden Valley Lake Main Entrance, L on Alpine Rd, R on Longview, past beach on R.
Location, Location in this raised ranch home across the street from Hidden Valley Lake Beach! Close to the Pool & Marina! 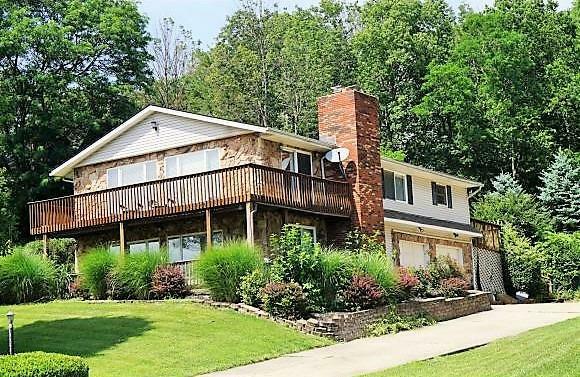 Seasonal views of the lake & decks for entertaining. Huge FR w/wet bar/kitchenette, wood burning stove & walls of windows. Over sized garage w/10ft. ceilings & plenty of storage. New roof 2013. Fenced back yard & private deck. NOTE: This property was sold on 8/28/2017 and is no longer available. The details listed below are believed accurate to the date of the sale and are subject to change.